One of the most important things to consider when selling your home is how to price your home. If you set the price too high you won’t get a quick offer, and set it too low and your home will sit on the market for months or you may regret the price you set. So, how do you set the right price? Here are a few tips and tricks that Sell or Dwell uses to help you determine how to price your home for selling success. Before you price your home, take the time to examine identical listings and past sales. While no home is identical to yours, you’ll have a clear understanding of the market value. Study similar homes listed within your neighborhood in the last six months. Property appraisers do not look at comparable properties that are older than 6 months. Consider physical barriers and neighborhood dividing lines such as railroads, freeways, and major streets. Similar homes on different sides of a street can vary by thousands of dollars. Look at identical homes (same # of bedrooms, bathrooms and square footage) that were sold and compare their original list price with the selling price. This will help you to determine price reductions. In a seller’s market, homes can sell for more than 100% of the list price. This strategy might work in a seller’s market but in any market price, appearance and location are all intertwined to determine how long it takes to sell a home. If the market is depreciating, you may find yourself chasing buyers and spending more money than you imagined. Time is not on your side and no buyer wants to overpay. If your asking price is too high, home buyers will think you are unrealistic and will overlook your home. If your home is priced above market by 10% or more you will eliminate 60% of the buyers from even looking at your house. When pricing your home we like to think about how people search for homes. Buyers generally have a range that they are looking to buy. For example, if I can afford to spend $300,000 for a home I will probably search between $275,000 and $325,000. I wont stop at $322,000 or start at $278,000. I will use round numbers. Pricing on the $25's is an effective strategy to make sure you stay in the range your prospective buyer is looking. Plus, if you are the home shown at the bottom of the range you look like a bargain. To price your home right, think like a buyer. What do you look for in a home? Is it a great view, a modern kitchen, or a big yard? These are probably the same things your target buyer is looking for. Have a talk with your realtor about current buyer trends. Shag carpeting might have been the in thing last year but granite counter tops may be popular this year. Your price should be similar to that of other homes with the same amenities. If the price is right, buyers won’t have many objections about your house. Remember, your home is now a commodity. Think of it as a product or an investment instead of your home. What do you prioritize more? Selling your home for the highest price or selling it fast? Some homeowners price their homes lower so as to sell them as quickly as possible. But you can sell your home at the full price and sell it quickly. Consider updating the exterior of your home with curb appeal ideas like a fresh coat of paint and fresh or landscaping. If the inside of your home is in need of home staging take a look at these home staging tips. These can help you to create the “wow” factor buyers are looking for. Trying to sell your home is not an easy task and the hardest part is setting the asking price. Implement the above tips and you’ll be sure to set the right price. Most importantly, use a Realtor to help you with the pricing process. 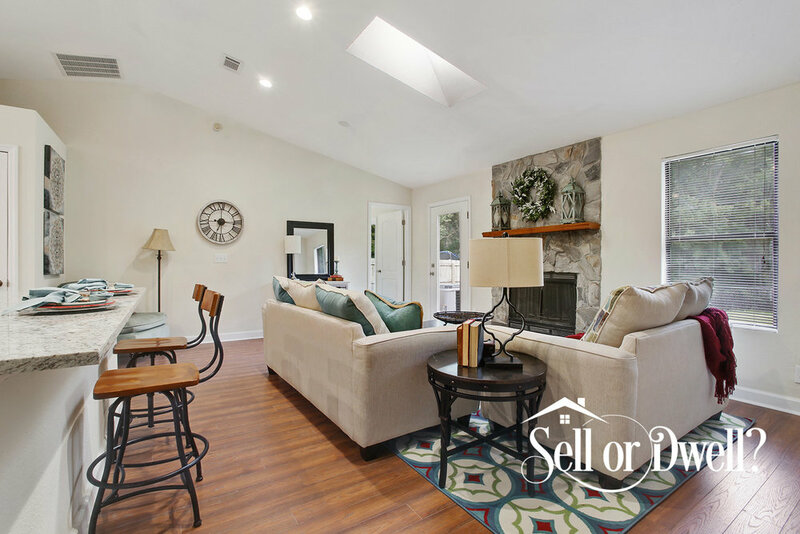 Sell or Dwell is here to work with you to get your home priced correctly and looking it's best so it can sell quickly.